Metropolis is Cathy Azria's homage to Fritz Lang’s classic movie of 1927. It features tall strips of metal – echoing the film’s extraordinary skylines. 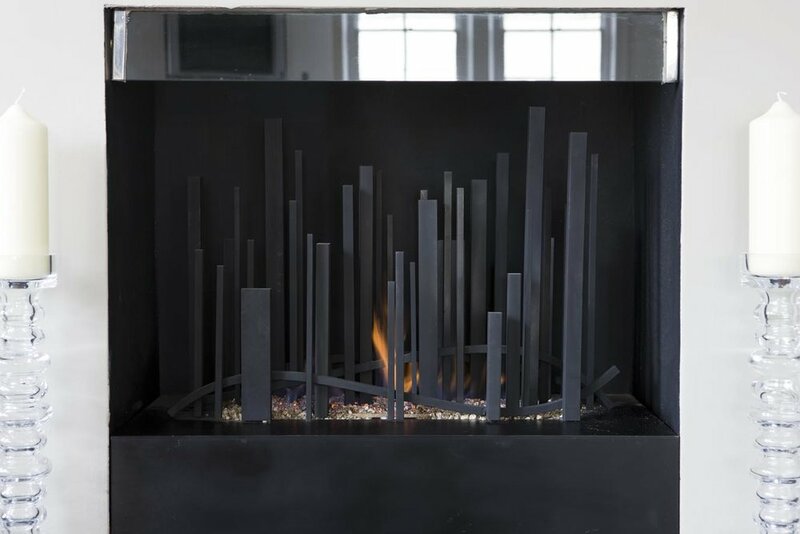 Flames lick through the steel ‘skyscrapers’ with a mesmerising effect. 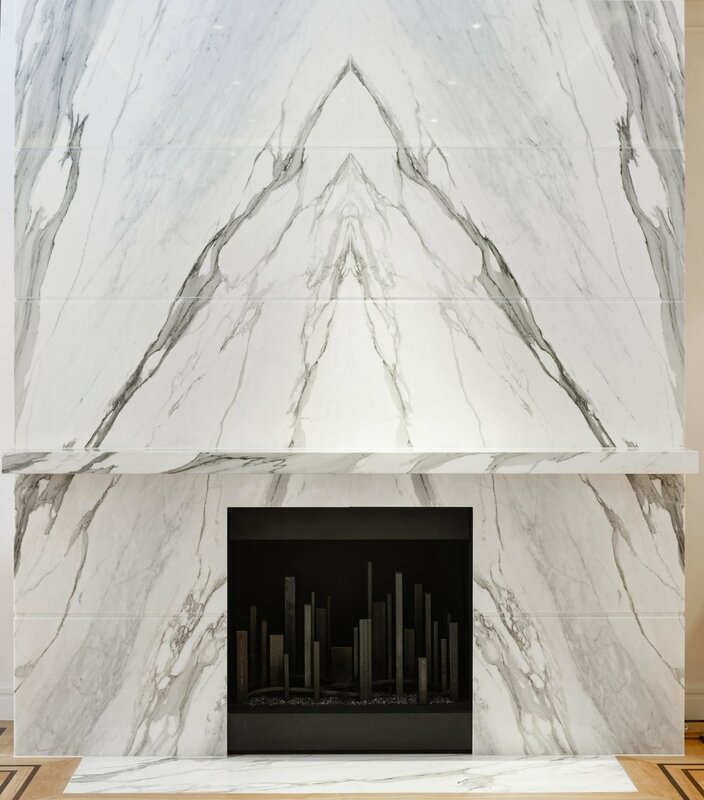 Metropolis adds scale and drama to a fireplace for example where there is an extraordinary chimney breast - as above the client had a classic bespoke Carrara marble surround and wanted a Metropolis to complement the project.